"Alright, cow-pokes! Listen up and listen good." The grizzled old cowboy dismounts from his place on the split-rail fence. "Iffn' yall plan to make it out here as an ear rancher, wull by golly, you've gotta have yersseff a strong back and an iron con-stit-too-shun." He gestures out over a large, enclosed pen, filled with a variety of ears, galloping and frolicking in the noonday sun. "Nothin' tests a rancher's resolve quite like roping a wild ear. Pick up yer lariats!!" The three young, would-be ranchers pick up their Klipsch X5 Headphones and hold them at the ready. The first young man swings the headphone in the air, loosing it towards a spry-looking ear. The headphone lands square in the ear's canal. The ear bucks for a second, surprised, then stops, soothed by the clear highs and resonant lows of the music. "Nice ropin', son!" cries the old cowboy. The second youngster steps up and with a spin and flick of the wrist, lands her Klipsch in the canal of a hip-looking ear with an industrial piercing and a tragus ring. The third contender swings his lasso and looses it towards a beautiful palomino ear. It sticks in the canal, but the palomino bucks it out. The young man hurls the headphone a second time. Again he catches his quarry, and again, it bucks and shakes furiously until the line falls to the ground. "Wait just a goll durn ..." The old cowboy picks up the headphone. "Wull no wonder she's shakin the line!" he cries. He moseys over to the third roper. "'OK Go?' Yer a looong way from Cali-for-nee, pardner." Among the world’s smallest, lightest in-ear designs, our flagship Image X Line prevails not only in size, but in sound and style, too. Supremely engineered and elegantly crafted for long-term wear, these award-winning gems deliver authentic bass and pure music performances that are as distinct as your favorite artists themselves. Own a Klipsch Image X5 and you’ll make a statement that’s as lavish as it is powerful. Light in weight but heavy in sound, Image X5 headphones are loaded with advanced comfort features and proven technology, so you can enjoy pure performance without any pain. The Image X5 features patented oval ear tips that naturally fit the shape of your ear canals, reducing ear fatigue and producing a perfect acoustic seal. At the heart of every Klipsch product is 65 years of audio expertise beating strong. Our commitment to no-compromise performance has made us the preferred choice of top cinema operators, a leader in stereo and home theater sound and now a premium name in headphones. The Image X5 is a balanced full-range armature driver design with a tuned bass-reflex system for crisp, clear highs and deep, impressive lows. In other words, you can experience rich, enveloping sound performances that virtually put you on stage with your favorite artists. A must-have for fashion-forward listeners, the Image X5 headphones feature sophisticated electroplated aluminum housings and streamlined, aerodynamic-shaped black “tails.” These flexible tails not only look good, they reduce cable stress and serve as an acoustic damper to minimize cable noise. Klipsch has gone to great lengths to ensure the long-lasting durability of the Image X5 headphones, including its 50-inch-long cables. 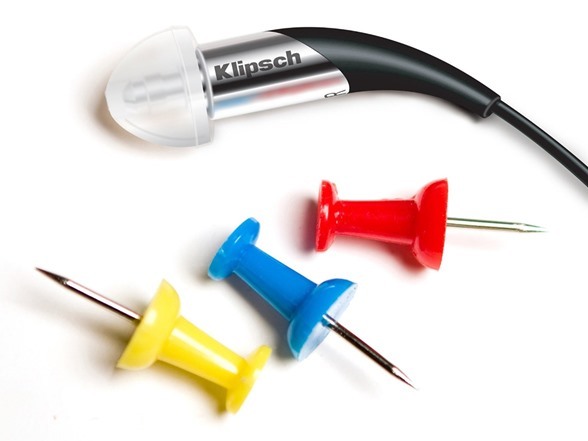 Subjected to extensive real world testing, Klipsch headphones feature enhanced cables and durable strain relief at every connection point to prevent wire damage. 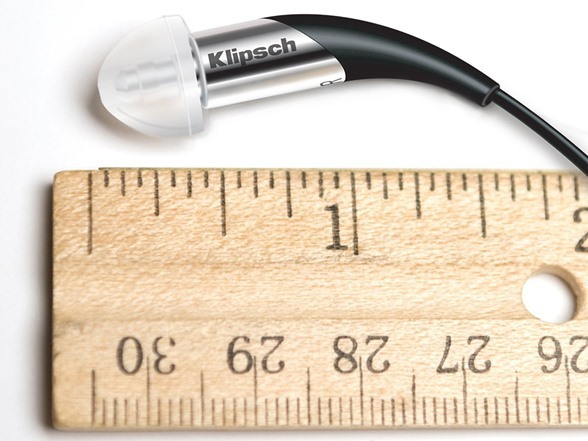 In fact, Klipsch Image headphone products endure some of the most rigorous testing in the industry. 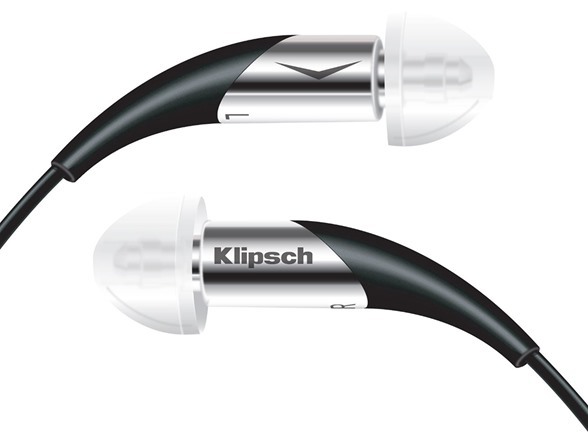 Covered by one of the best warranty programs in the industry, with a 2-year replacement policy on all headphone products as opposed to the 1-year offered by many competitors, you can rest assured that your Klipsch headphones will provide years of listening enjoyment. 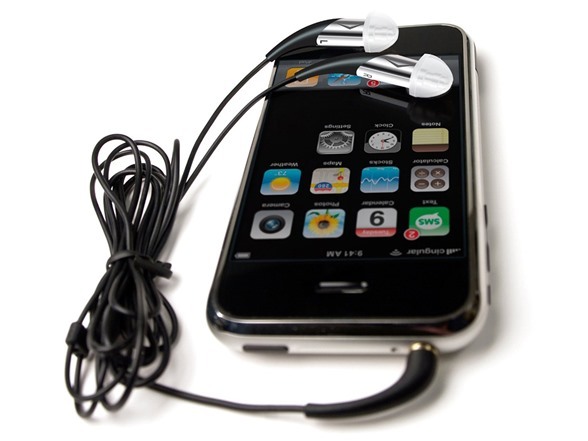 The Image X5 headphones are compatible with the iPod, iPhone and virtually any device with a headphone jack. Image X5 headphones feature silver bodies with sleek black accents. 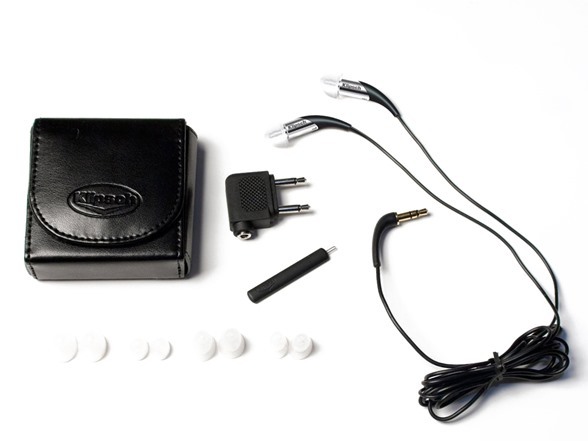 These earphones come with a compact pouch, an airplane adaptor and 5 sets of different-sized ear tips.